No doubt about it....one of THE best guy cards ever! Great colors - love the 'oh-so-graphic' look! 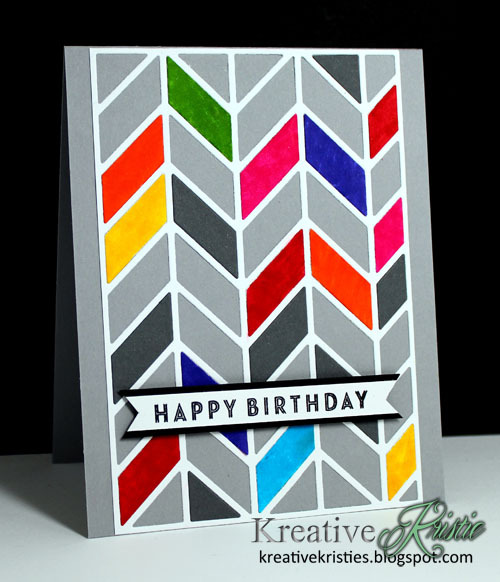 I totes adorbs this gorgeous chevron card, Kristie! I love the way you used your Zigs on it!! You ROCK! Love you colorful card...really neat. 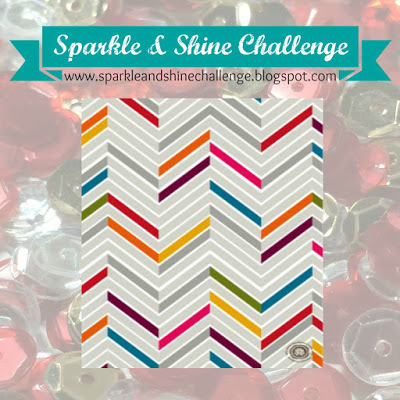 Totally love this card, Kristie! Fabulous make. What a striking and fabulous card Kristie! I love the idea of coloring the pieces instead of cutting out different colors! That is the perfect take on the inspiration picture! Gorgeous! Really pulls from the inspiration piece nicely. Wow, it's so nice! I like the colours. Love the way that this just pops out of the gallery...great take on the inspiration photo. Thanks for playing along with us at Sparkle & Shine.